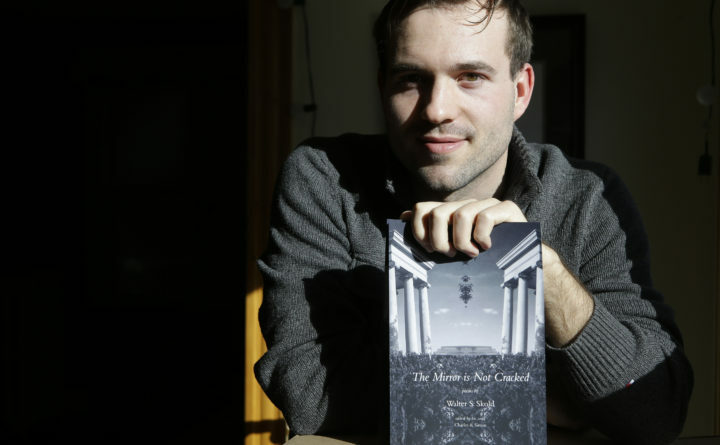 Charles Skold of Somerville, Massachusetts, son of poet Walter Skold, displays "The Mirror is not Cracked," a book of poems by his late father, in Somerville, Massachusetts. Walter Skold, the late founder of the Dead Poets Society of America, can be inducted to the society of fallen bards now that he's now a published poet. Walter Skold visited the gravesites of more than 600 poets and one of his criteria was that the subjects had to be published. Now he's becoming a published poet, posthumously, on the anniversary of his death thanks to the efforts of two of his children, Charles and Simon. The late founder of the Dead Poets Society of America can be inducted to the society of fallen bards now that he’s now a published poet. Walter Skold visited the gravesites of more than 600 poets, and one of his criteria was that the subjects had to be published. Now he’s becoming a published poet, posthumously, one year after his death Sunday, thanks to the efforts of two of his children.